to place an order for pick up. 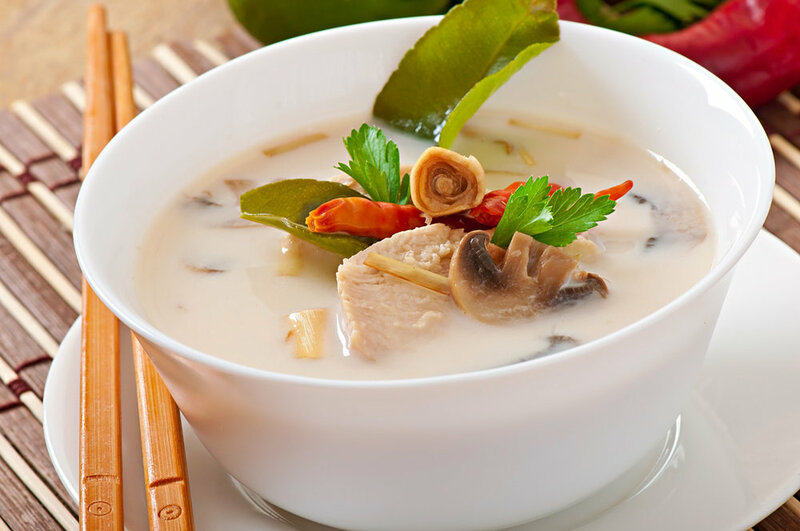 Located in Fullerton, Thai Basil is the place to go for truly authentic Thai cuisine – freshly made-to-order with bursting with fresh, bold flavors. Enjoy fresh seafood, vegetarian dishes, or all of your favorite Thai classics. Let the chef customize a dish for you that will delight your tastebuds and fit your special dietary needs. Hot and Spicy = All dishes are individually and freshly prepared when ordered. Choose how spicy you would like your dish to be from a range of 1-10, with 1 being mild and 10 be very spicy. Choice of Meat: Chicken, Beef, Pork, Tofu (included in price), or Shrimp (add $1). For any combination of meat, vegetables or tofu, please add $2. Choice of Meat: Chicken, Beef, Pork, Tofu (included in price) or Shrimp (add $1). For any combination of 2 meats, vegetables or tofu, please add $2. Choice of Meat: Chicken, Beef, Pork, Tofu (included in price), or Shrimp (add $1). For any combinations of 2 meats, vegetables or tofu, please add $2. Served with soup, egg roll, fried wonton, and your choice of steamed or fried white rice, or brown rice.